I am starting my senior year at college, and here is a little advice I have learned in and out of the classroom. 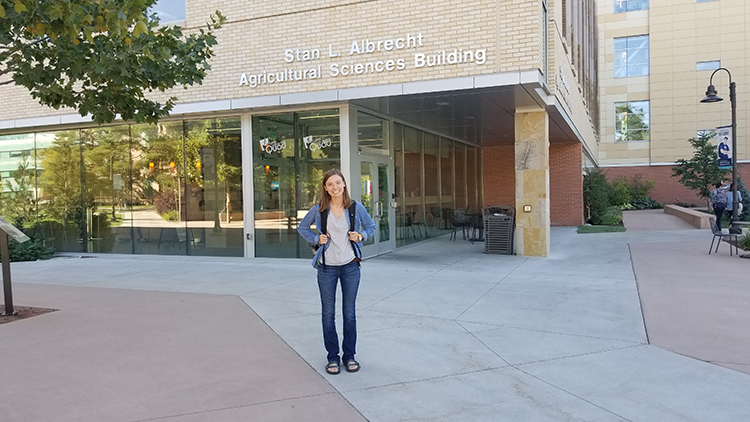 This is my last year as an ag communications and journalism student at Utah State University, and being an ag student has its perks and setbacks. Whether you’re a freshmen or a senior, like me, I hope these tips can help you out. First time not living or working on a farm – I threw this in here because being away from the farm can be hard, but let’s be honest, it frees up a lot of your time. If you are itching to get back on the farm, try working or interning for a local farmer. Otherwise, reach out to your professors and see if you can help with undergrad research. Chances are you already know the ins and outs of your family’s operation. Take this chance to understand different perspectives from others in the industry. Classes – Whether it is English 100 or Lactation and Physiology of Mammals, take each class seriously. Yes, I am a journalism major and should pay attention in my English classes, but I also took organic chemistry and tried my best to understand carbon molecules. Even though I am not planning on being a chemist, I now better understand scientific research that refers to chemistry and can interpret it for my writing and media. Clubs – I am guilty of spreading myself too thin when it comes to extracurriculars. My first year, I signed up for almost every ag club offered on campus. Now, I am only a member of two: Dairy Science Club and the Agricultural Communicators of Tomorrow. I don’t think trying a lot of things is a bad approach. When I started college, I thought everything was interesting and that I could do it all. Getting out there and trying new things helped me realize my actual interests. Now that I am a part of a few clubs and activities that I really enjoy, I can be an active member and add value to others and the program. Friends – Make some friends outside of your college! Here’s a little secret: Everyone wants to make friends just as bad as you do. Plus, you will never have a chance to be around so many people from different backgrounds again in your life. Friends can broaden your perspective, help you study, and possibly be a future business partner.